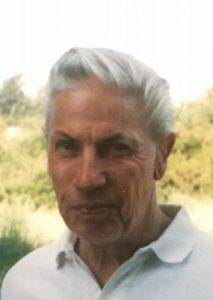 Former Woody Creek rancher Wayne Vagneur died Monday, May 21. He was the last of 7 siblings, Clayton, Glen, Clyde, Wayne, Leroy, and Claire. He is survived by his wife Lois, daughters Laurie and Julie, step daughter Belinda and four grandchildren as well as beloved cousins John Wayne and Billi Jo Vagneur and a huge extended family. He was the son of Clarice and Sullivan Vagneur, and his grandparents Jeramie and Stephanie Vagneur homesteaded the ranch in Woody Creek, below what is now known as Vagneur Mountain. In the 1880s the family immigrated from Val d’Aosta, Italy, a town in the Alps, along what is now the French/Italian border. Grandfathers on both sides of the family started out working in the silver mine but did not care for mining. Granddad John Greener became the Marshall of the wild mining town, and granddad Vagneur bought land in Woody Creek and started ranching, a tradition that would last over a century. Jeramie homesteaded in Woody Creek beginning with what later became the Craig ranch. The family later expanded their ranches to include the former Aspen Valley Ranch, the property Wayne ranched at the base of Lenado Road and a ranch that stretched across McLain Flats. In the early years, times were tough and Jeramie’s brother Alcide Vagneur, who also immigrated from Val d’Aosta to mine and ranch, was murdered. In one version Alcide was killed by a man for his money while camping and the suspect was caught and sentenced to life. In the other version, Grandpa Jeramie said he was killed in his bed for the winnings of a poker game near Basalt and the suspect was hanged by a street mob. Wayne’s father Sullivan attended the Agricultural College in Fort Collins and was a cattle rancher and potato farmer. Over his lifetime Wayne saw a lot of changes in Aspen. In his childhood he saw the end of mining and experienced the beginning of a new (to the U.S.) winter sport with skiing on Aspen Mountain, including watching them cut Roch Run, as a child in the 1930s. In the 1940s, Sardy Field opened for commercial flight. Wayne wanted to follow his brothers into the military but was excluded due to a hernia, so following his graduation from Aspen High School, he reluctantly followed in his father’s footsteps, attending what had become Colorado State Agricultural College, now known as CSU. Within the first couple years Wayne was called home to help with the family ranch. His siblings had moved, married, and started careers elsewhere so he was desperately needed at home. He eventually took over the family ranch and went on to run it until it was sold in 1987. His brother Clyde and wife Pat lived on a nearby ranch, above the W/J. Clyde and Wayne were inseparable, working, roping and rodeoing together for decades. 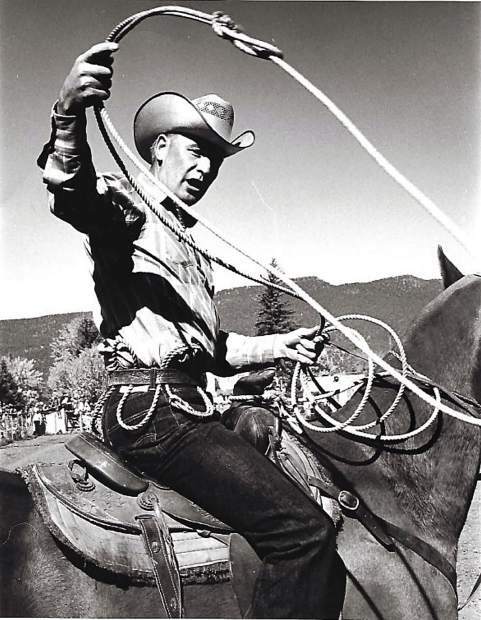 They even shared one or two ranch hands off and on, including, but not limited to Al Senna, Tim Cunningham, Terry Seiler, Tom Munn, Roger Smith and cow pool rider Dave Hartle. In the 1950s Wayne taught skiing and was almost always the life of the party with his youth ski classes especially. He appeared in many of the Aspen Times “looking back” features of 50 years ago with local ski races, horse shows, match races and rodeo wins. One of the best described a very heated stock horse contest with Bill Fender, Wayne Vagneur and Clyde Vagneur duking it out for the top three spots. 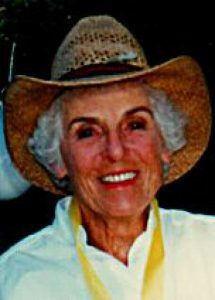 In 1960 he met and later married Billye Vagneur, who was also a ski instructor at Buttermilk and she loved competing at Rodeos. They had daughters Laurie and Julie. When expecting with their first child, she expressed her concern about having the baby during hunting season when he would be gone. He told her not to worry, he would leave the keys to the jeep for her! Babies were not delivered at the hospital in Aspen, so she drove herself to Glenwood in labor. They lived on the family ranch for 16 years and spent their free time skiing and rodeoing. In the 1960’s and 70’s Wayne and Billye spent a lot of time including many holidays with Jack and Anika dePagter and Ralph and Marian Melville, spending enough time together that two moms decided to name both their daughters Julie, but then decided to put a few years between the “Julies”. 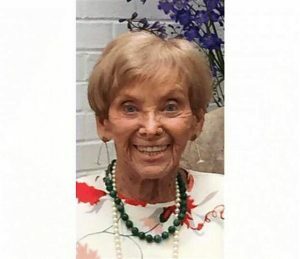 They were also very close to Lee and Virginia (Vagneur) Jones and spent a lot of time at their home (and store) in Woody Creek, which is now a gallery and the Woody Creek Tavern. Another big change in his lifetime was in the late 1960’s when Wayne saw the Anderson Ranch, owned by the family of his school teacher Hildur Anderson, turned into a ski resort, which is now Snowmass Village. On the ranch in the ’70s Wayne decided to start breeding some Angus into his primarily Hereford cattle, which at the time was very controversial with fellow ranchers and family members. Eventually the Hereford Angus cross become quite popular. Around that time, Wayne also started breeding some Thoroughbred and Appendix Quarter horses to his Foundation Quarter Horse mares. This was also met with a lot of skepticism until his colts and fillies started competing. Appendix horses are now quite popular in the Rodeo events. In the 1980’s he married wife Lois (Brownell) Vagneur and they lived on the ranch until 1987. Their home was open to anyone and everyone, and was a constant gathering place for young and old. They welcomed hundreds of hunters, bicycle riders, horseback riders and much more. Everyone was welcome to dinner or a branding. The bar was never closed and the gates were never locked. They enjoyed moving cows, hunting and going to Quarter Horse tracks to see their race horse “Diggin’ for Gold” run and even win a few. “Digger” later became a cherished rope horse to Wayne. Wayne had many exceptional horses including Brandy, Chico, Oakie, Digger and Whitey. The Meadows Rodeos and later the W/J Rodeos were the highlight of the year for Wayne, Clyde and cousin John Wayne Vagneur. They often competed in Calf Roping, Bull Dogging, Team Roping and won the Wild Horse Race regularly. Wayne was a regular participant in the Snowmass rodeos since the beginning and rarely missed a Snowmass or Carbondale rodeo. Both the Snowmass and Carbondale rodeos recently did a tribute dedicated to Wayne before the Team Roping. Lois and Wayne enjoyed traveling, visiting upstate New York, Vermont, Texas and Hawaii. They also loved to go to the Hatt Ranch to bird hunt, and also hunted antelope with friends and family throughout Colorado. Wayne owned many talented and beautiful Australian Shepherds, that worked on the ranch and later became pets. Some of their first Aussies came from the famous Hartnagle’s Las Rocosa line. When the ranch sold Wayne and Lois moved to Flying Fish Road in Carbondale. Friends and family moved well over 50 horses from the ranch. The selling of the ranch cattle, although much later, was difficult for all involved and detailed by an exceptional column written by cousin Tony Vagneur. The blood sweat and tears, not to mention the scores of human and cattle generations that went into that herd was unknown and unappreciated by the owners and truckers that took them all to the auction. Wayne was featured in many books over the years and even a photo section on the American Cowboy in a national magazine. More recently he was one of the subjects for Kathy Daily in The Quiet Years. 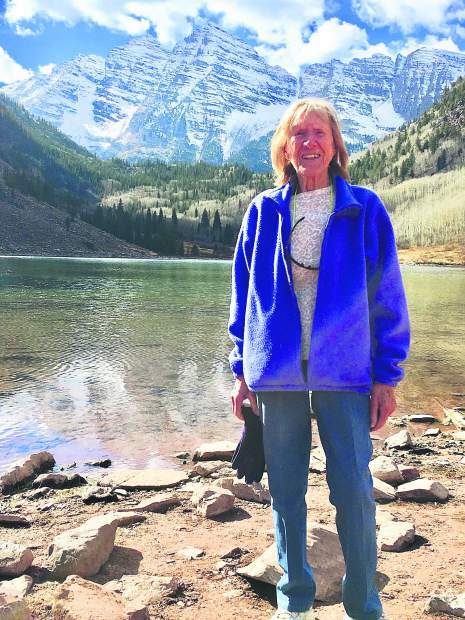 He was also featured in Anita Witt’s book about Roaring Fork Ranch Life, in “I Once Knew a Horse.” The Aspen Times also did a piece by Scott Condon, highlighting the family and history of five generations. During those years, Wayne’s greatest enjoyment came from spending time with his four grand kids, for many years he attended Little League and Hockey to watch grandson Jake Wedhorn. He also loved to watch his granddaughter Tye Wedhorn barrel race and play volleyball. He loved to watch his granddaughter Dani Brownell at the Snowmass and Carbondale rodeos in the barrel race and the videos of her ski racing. Wayne loved to comment on grandson Wylie Brownell’s Saddle-bronc and bull riding performances as well. 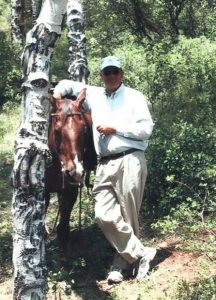 Wayne was a long-time member, (and often a lifetime member) of many ag and service organizations including, but not limited to; the Masons, the FOE (Eagles), BPOE (Elks), the Salvation Ditch company, the American Quarter Horse Association, the Holy Cross Cattlemen’s association and the Roaring Fork Co-op. He was a good steward of the land, the cattle, the horses and the forest. There will be a memorial at Grace Church in Emma on Saturday, July 7. At 1 p.m. there will be a remembrance of Wayne, by the BPOE, (Benevolent Protective Order of the Elks) as Wayne was a lifetime member. It is open to the public. The full memorial will follow, at 2 p.m. 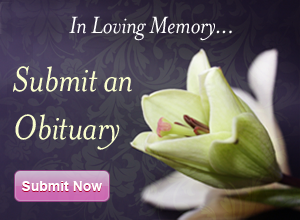 In lieu of flowers please send a donation in Wayne’s memory to the scholarship fund for Holy Cross Cattlemen’s Association, or the scholarship fund for the Elks; (Holy Cross Cattlemen’s Assn. Scholarships, PO Box 1369, Carbondale, CO 81623) or (Elks Scholarship, Aspen No. 224, 510 E. Hyman Ave, Aspen, CO 81611). A reception with light refreshments will follow the memorial at Grace Church.